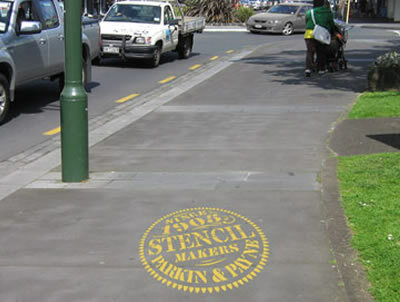 Parkin & Payne Ltd is the premier stencil maker in NZ. 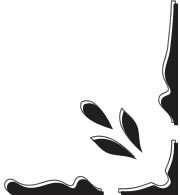 Our stencils are manufactured in a variety of materials, Stainless Steel, Zinc, Brass, several types of plastics, Mylar & Oilboard. Once we have your stencil design and intended use, we can then assess which of our stencil materials are best for your application. We can work with provided artwork or we offer a complete stencil design & graphic design service. If you need your order by a certain date, please let us know and we will do our utmost to accommodate you. 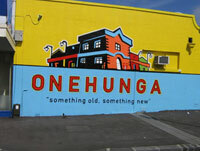 Where possible we use New Zealand made product, recycled product & we implement a recycling program. PARKIN & PAYNE Ltd was formed by two of the countries top engravers, Harry Parkin & Ernie Payne, with the idea of combining their different skills to serve the needs of a rapidly developing industry. Through our 100 plus years we have seen many other companies offer a stencil cutting service as a sideline to cutting other products, but PARKIN & PAYNE is proud to be solely committed to stencils in NZ. We manufacture premium quality stencils for marking and identification purposes. These are ideal for a variety of industries, including warehousing, shipping, manufacturing and services. Call us to discuss your needs and learn about your options. We can design your stencils to your specification, making sure each unit meets the requirements of your application. Marking your timber products or packaging is easy with our timber stencils. These are ideal for marking pallets, wine barrels and timber products logs. We can incorporate your company name and logo into the design to increase brand exposure and make it easier to identify your products. Using timber stencils is a good way to stay compliant with existing export laws and regulations. Use our decorative stencils to make your brand stand out. 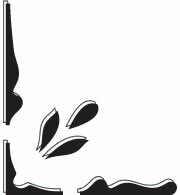 We custom design stencils for businesses, including restaurants, coffee shops and other commercial buildings. These also serve as effective tools for marketing or promoting your products or company. Tell us what you need and we will help you choose the right design and materials for your corporate stencils. We supply a variety of accessories to help you maximise the benefits of ourcustom-made stencils. In addition to our own line of products, we carry marking items from some of the most popular brands. From stencilling inks to heavy-duty roller systems, we have the accessories you need for your application or project.